A few weeks ago, I reached a very important milestone…but it was just this week that the reality sunk in…why? See, I have been meaning to compose this post for a while now (especially after I posted extensively on Chelsey’s blog about the awe-mazing-ness of the Starbucks rewards program – but I wanted to make sure it was the most extensive thing I could put together to fully convince ANYONE that enjoys Starbucks that it is something they should DEFINITELY take advantage of, regardless if you visit a 2x/day or 2x/year! As linked above, Starbucks does a really great job of explaining the deal – and once you are ‘in the know’ – I promise you – you will notice the countless little fliers and promotional material that each cafe has available on the program! 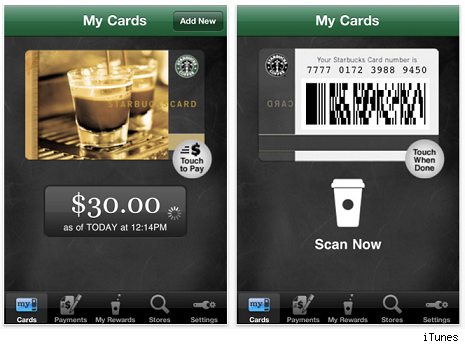 The program is simple – use any REGISTERED Starbucks card (just pop over to their website before using) to purchase your drink of choice. Points/stars = drinks. It doesn’t matter if it’s a drip coffee or a Venti Frappucino. A drink = a star! Check. Free refills of coffee/iced coffee/tea during your visit. 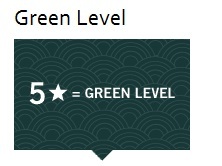 Now, Green level is a mighty fine place to stay for a bit (I was there from January to July) but in no time, you are will approach the big time: GOLD! Free drinks every 15 stars. 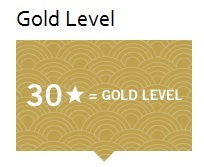 At this level, you need to maintain 30 drinks/year to retain GOLD status. But other than the actual purchase of your drinks, membership is totally free! 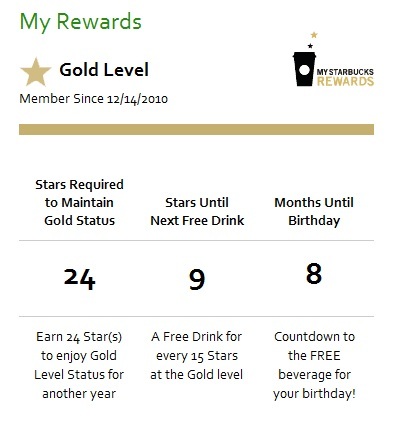 All levels of membership include a free drink on you birthday – in the form of a little card redeemable for the handcrafted beverage of your choice! Account protection – registered cards have protected balances! Just report lost/stolen should the unfortunate happen and your account will be frozen/your funds are safe! In addition, you can download the app for your smartphone and now, you even have the option to pay WITH your phone (I haven’t personally tried this yet, but it’s cool to know the option exists. So basically, it’s a FREE rewards program that can get you FREE stuff. I don’t really think it can get any better than that! What rewards memberships are you a part of? 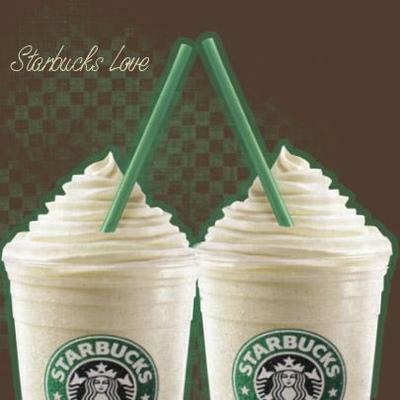 All Starbucks image caps from Starbucks. I was not paid or compensated in any way from the company, I am just a fan! I did not know about this! I’m going to do it!